Take a drive through the picturesque Kentucky bluegrass country and stop at Pine Knoll Farm's Open House 2014. We are celebrating the warm weather by introducing you to our staff, consultants, and affiliated team members. The past year has brought many great changes to Pine Knoll and we have so much to share with you. We hope you'll come by to see some of the many presentations and take a tour of the facility! All guests will be automatically entered just by signing in when they arrive! Winners will be randomly chosen at the end of the day. See our newly remodeled facility and meet our horses on a guided tour of the farm lead by owner Gillian Vallis. Tours planned for 9am, 10:30am, 12:30am, and 2pm. "Pine Knoll Selfies" Facebook Contest! To enter, take a picture of you with one of our horses and post it on our Facebook page. It's easy! Experience the John F. Barnes' Myofascial Release Approach� with Grace Schwartz as she combines it with Craniosacral Therapy and Reiki. Pine Knoll Farm welcomes Richard Rowland as he signs his book, "Unspoken Messages- Spiritual Lessons I Learned from Horses and Other Earthbound Souls." Puzzle and Domino will be there to meet and greet visitors. Say 'hi', learn more about them, get your picture taken, and see them in action. All during the Open House! Meet with Reiki Master Maureen Foright and learn more about this powerful, noninvasive form of energy medicine. Mindy King's varied experiences bring her Reflexology sessions to the next level. Be prepared to feel rejuvenated! PJ Stegen, from E3A, and Lissa Pohl, from the University of Kentucky, will be presenting on how horses have a special ability in facilitating personal and professional growth. Business Development Coach PJ Stegen talks about her book "Get Started" and how to start a positive equine business with heart and leverage employees' strengths. Join Jane Fisher, Efficiency Consultant and Coach, to learn how you can get 15 minutes more per day in the saddle through better organizing your life. Pine Knoll will have many products for sale, including SassaBella Body Care, The Peace Ponies, ASEA, and much more! 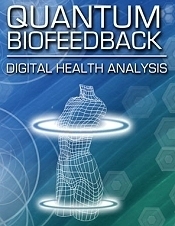 Teresa Bowden uses her biofeedback device to scan the body for stress conditions, trying to correct these stressors with focused energetic therapy. Meriah Kruse, GCFP, will host two demo classes using the Feldenkrais Method of movement education to teach-through movement-how we can improve our capabilities to function in our daily lives. Cathy Fox, International Trainer and Instructor, will perform Grand Prix level movements on her horse, Rolls Royce. Kao Fisher, Pine Knoll's in-house Equine Physical Therapist, will demonstrate how Kinesio Tape can improve performance in both horse and rider.